Sleeping is the state of giving rest to the body and mind. Every individual falls asleep a certain way, however the position in which they sleep in matters. Sleeping on back – If you are person who lies on back and gets to sleep, then you are deriving multiple health benefits. Your head is faced upwards and weight is evenly distributed, thus one of the best position to sleep. This position is also found to benefit people suffering from acid reflux as both food pipe and stomach are in line and thus acid can’t reflux up! 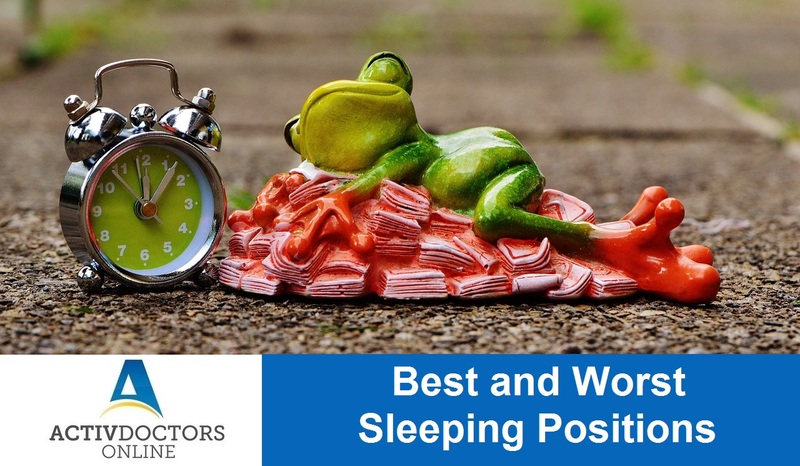 Sleeping on Left side – It is also considered as one of the best positions to sleep. If you can fall asleep soon if you lie on sides , it is advisable to choose the left. Studies have shown that lying on left increases pressure on heart and thus has positive impact on better circulation all over the body and good sleep. Sleeping on Right side – Sleeping on right has demonstrated increased risk to acid reflux, heart burn and heart failures. It also adds added pressure to heart and lungs. Sleeping with one leg up – It is one of the common sleeping positions, however worst from a health point of view. Pulling one leg up will have uneven weight on pelvis and on long run causes damage to back! Sleeping on Stomach – Sleeping on stomach with stretched out hands is the favorite position for many. However, it is time for you to stop this position! Studies have shown that sleeping on stomach pulls belly down and alters the curvature of the spine, hurting the neck as well. It makes you wake up often with pain! Sleep is meant to rest and not hurt the body. Fix your sleep, fix your health.